Both are world-class attractions on their own. 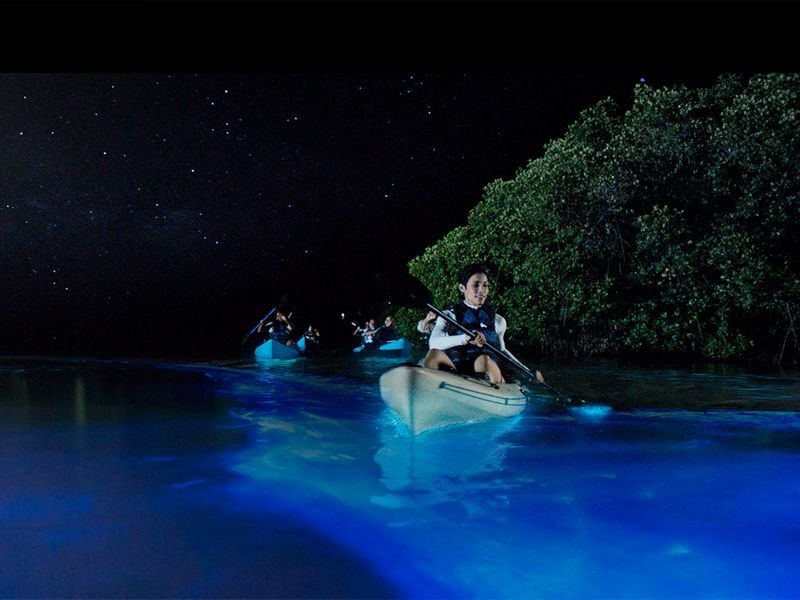 Mosquito Bay in Vieques is the brightest bioluminescent bay in the world according to the Guinness Book of World Records. 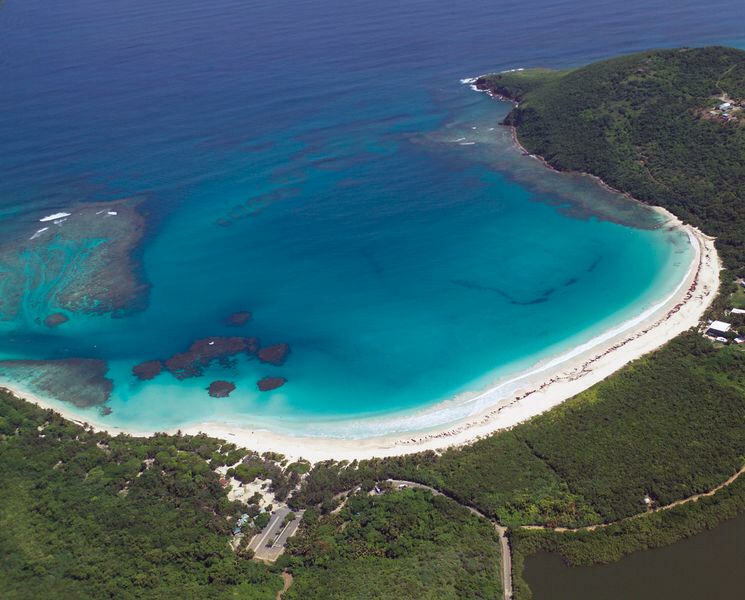 Culebra has Flamenco Beach, which The Discovery Channel named the second best beach in the world. They are the most secluded, pristine towns in Puerto Rico. If the country has a best-kept secret, you’ll find it in Vieques and Culebra. Both Vieques Airport (VQS) and Culebra Airport (CPX) are accessible via flights from Luis Muñoz Marín International Airport (SJU), the smaller yet centric Isla Grande Airport (SIG) in San Juan, and the new Ceiba Airport (RVR) on the east coast. Fajardo Ferry Terminal from Fajardo to Vieques and Culebra. The ferries’ schedule generally starts at 6:00am and ends at 4:30pm. There may be changes to the itinerary. Vieques is affectionately known in Puerto Rico as Isla Nena (“Baby Girl Island”) and is equally beloved by locals and visitors. It is truly a destination to unwind, slow down to island time, and beach-hop, swim and snorkel your way through life. A mere 21 miles long by 5 miles wide, Vieques has only two small districts: Isabel II, where the ferries dock, and Esperanza, a beachfront hangout with a boardwalk, quaint guesthouses, and restaurants. The United States Navy has played an important role in shaping Vieques. It controlled the majority of the island for over 50 years, which kept Vieques largely undeveloped. As a result, the island has remained a pristine paradise for visitors to explore and enjoy. 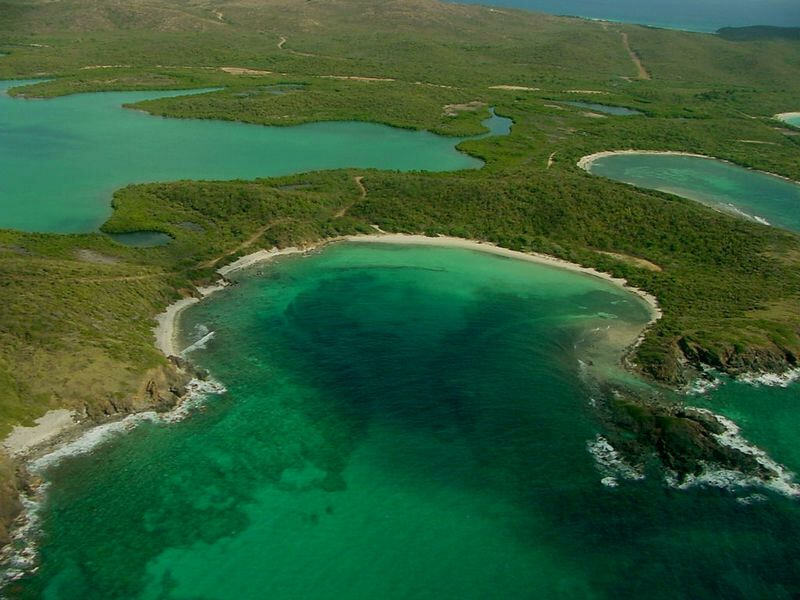 Vieques’s crown jewel is Mosquito Bay, recognized as the brightest bio bay by the Guinness Book of World Records. A visit to this rare ecosystem is an unforgettable experience as visitors can kayak or take an electric pontoon boat out into the bay to watch the surrounding water glow neon green in the dark. The eastern shore of Vieques contains the largest national wildlife refuge in the Caribbean, covering half of the island. Once inside, you can spend all day hiking and beach hopping to explore incredible white sands and crystalline waters. 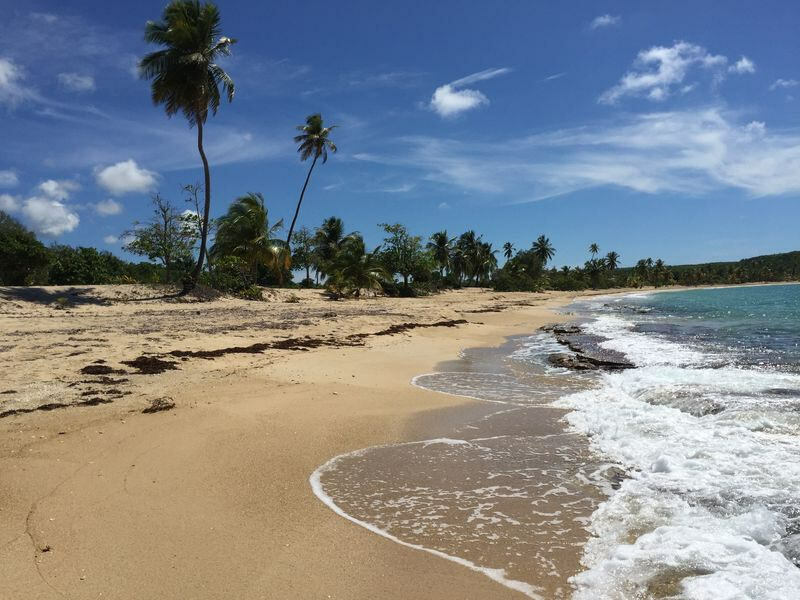 The Esperanza district is the island’s premier beachfront hangout and is located next to Sunbay, Vieques’s main public beach, which complies with all facilities and is listed as a Blue Flag, environmentally-friendly beach. Vieques’s only fort is the island’s cultural focal point. 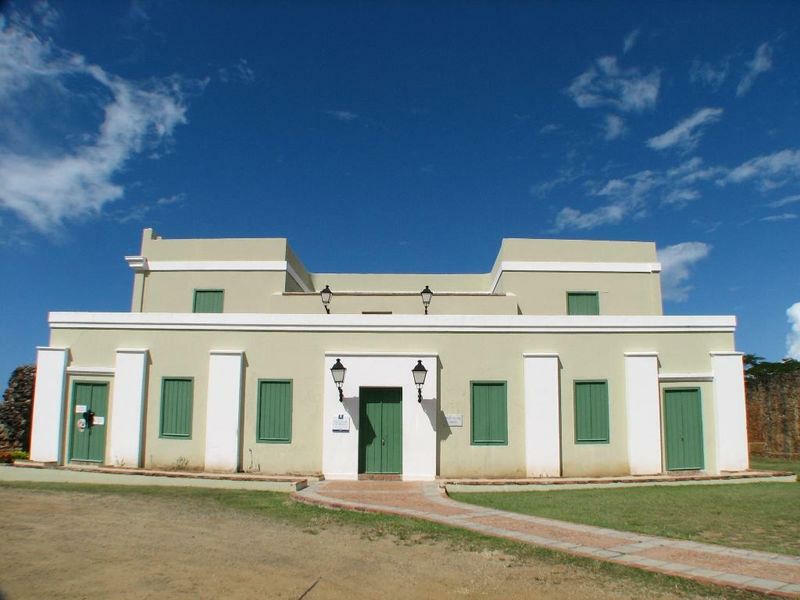 Located atop a hill in Isabel II, the fort hosts frequent exhibitions and offers great panoramic views. Vieques is full of ceiba (silk cotton) trees, but if you ask the locals where the ceiba tree is, they will guide you to one in particular. 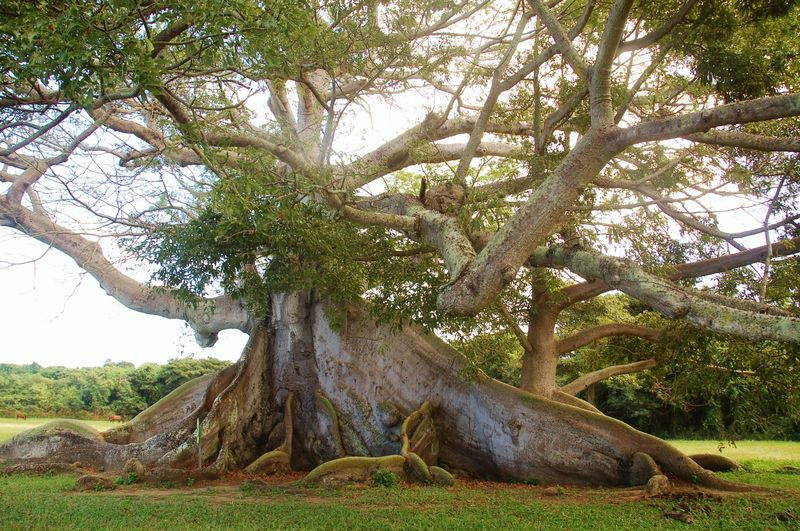 Located by Mosquito Pier, it’s more than 300 years old and probably the most photographed plant on the island. 17 miles east of mainland Puerto Rico and nine miles north of Vieques lies Culebra, Puerto Rico’s resplendent diamond in the rough. 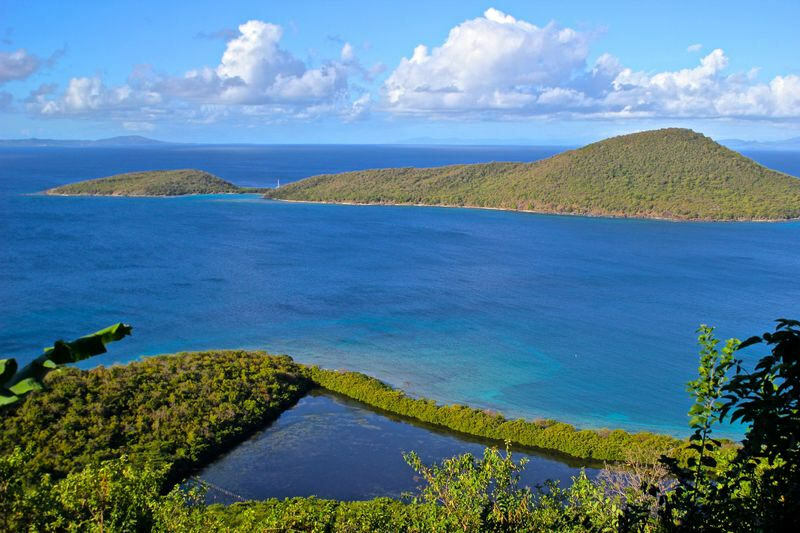 Besides the tiny town of Dewey and a small airport, Culebra is mostly a smattering of private homes, green hills and beaches. The island is home to a few thousand year-round residents, a seasonal destination for nesting turtles, and a low-key Eden for tourists who seek something different. It also boasts Flamenco Beach, arguably one of the best in the world. A picture-perfect of white sand framed by green rolling hills, is one of the most beautiful places in all of Puerto Rico. This is a large beach that comfortably accommodates the sun seekers who come for its tranquil, multi-hued water and wide beachfront. The Discovery Channel named it the second most beautiful beach in the world. TripAdvisor named it one of the five best beaches on Earth. The Reserve includes beaches, reefs and keys with the most impressive spots for snorkeling and scuba diving. The most popular beaches to explore are Carlos Rosario & Tamarindo, where you will find a healthiest coral reefs teeming with fish and diversity marine life. 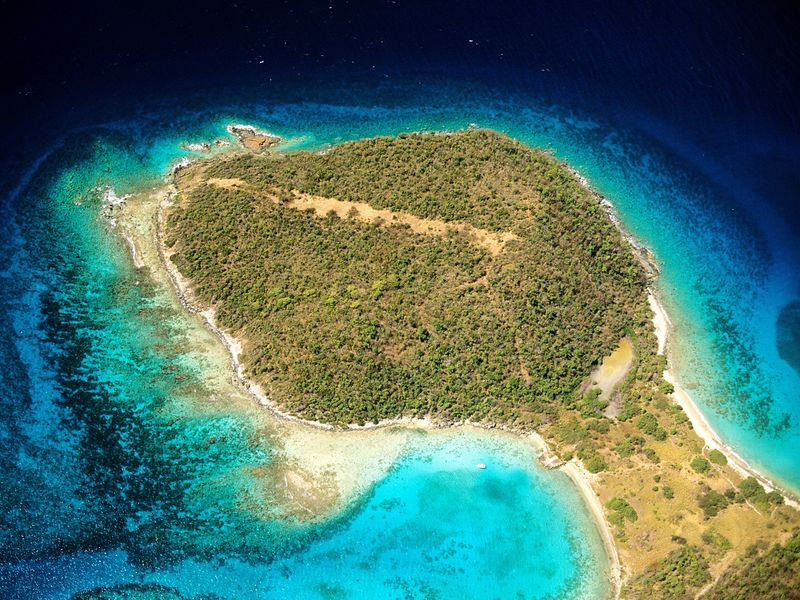 Culebrita is a tiny islet close to Culebra. It has lovely beaches, a natural salt water pool and hiking trails that lead you to the old lighthouse, the only manmade structure in Culebrita.